Glee's classical equestrian training and experience at the upper levels of competition allow her to accelerate a rider’s learning curve. Anticipating clients’ needs and desires, she can see the path that will take them forward. She passionately continues her own education with Olympic caliber mentors and is currently working on her USHJA Trainer certification. 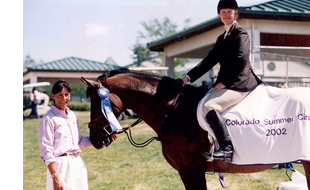 Her early experience with a major veterinary hospital and her dedication to horsemanship best practices and quality care for both horse and rider ensures that horses overcome any previous physical or emotional roadblocks and become sound, balanced competitors. 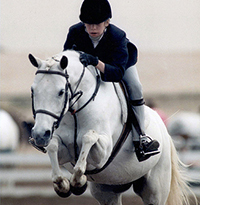 Her professional affiliations include USEF, USHJA, USET, WCHR, ASPCA, CHJA, NMHJA, AHJA and the Arapahoe Hunt. Under Glee's tutelage, her students have moved through the Pony Jumpers up to Grand Prix and Young Rider competitions. Endeavor Farm LLC's horses and riders have shared success in the show ring throughout the Western United States, Mexico and Canada with wintering in HITS Indio/Thermal and Tucson for many seasons. 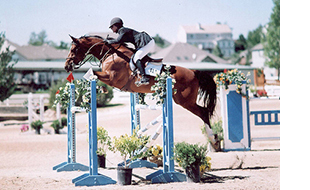 Glee has competed at Spruce Meadows and Monterey, Mexico and has successfully produced over a dozen Grand Prix show jumpers, many of which have taken their riders from the amateur and junior rants to establishing themselves as professionals. 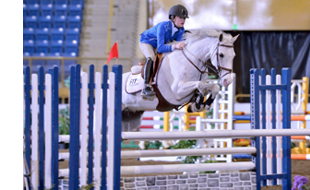 Her students have won WIHS, USET, USEF, Maclay and CET Medals as well as USEF Zone 8, CHJA and NMHJA Year End awards in the Hunter, Jumper and Equitation rings. In 2016, Glee and her students are looking forward to a rewarding season in all three rings.